FLY NOW & PAY LATER! Book your Cebu Pacific flight & pay later in installments even without a credit card. What is Pay with Cashalo? Pay with Cashalo is a type of loan, which allows borrowers to purchase a product, ticket or items online from any one of our partner merchants and pay in installment without the need for credit card. Currently, Pay with Cashalo is in beta phase. It’s easy and done entirely through the Cashalo app 24/7! 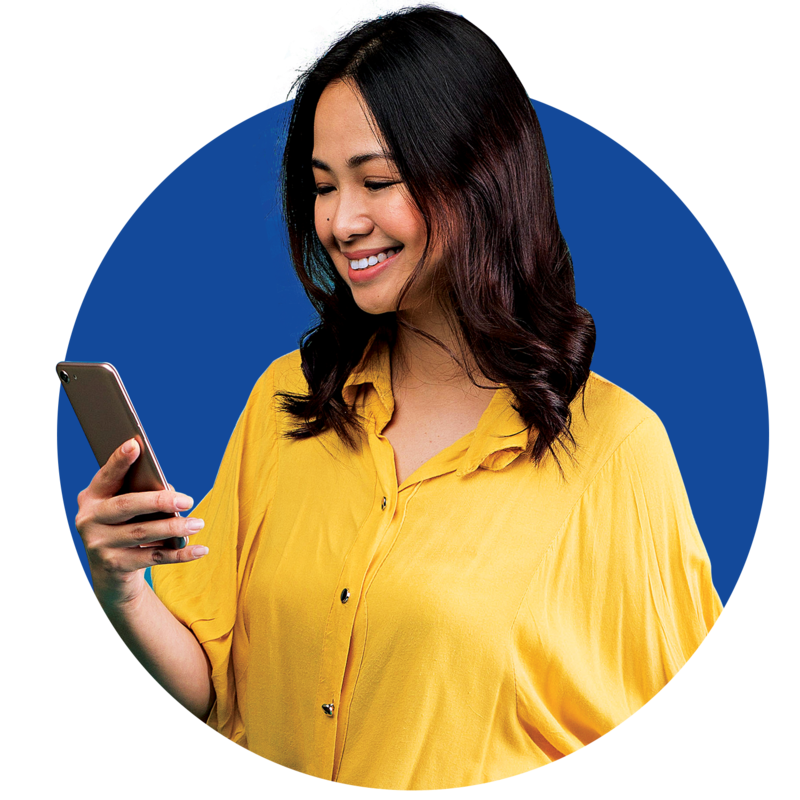 Download the Cashalo app; sign-up using your mobile number; choose "Pay with Cashalo", complete your profile with the required personal, work, and bank details (for verification and disbursement); and click apply! How do I know my loan application status? After registration and application, expect for an sms and in-app notification for the status of your application within 4 hours. You have an option for 3 months or 6 months installment. The loan limit is Php7,000 for Cebu Pacific and is limited for domestic flight bookings. How do I apply to Pay with Cashalo? It’s easy and done entirely through the Cashalo app 24/7! Download the Cashalo app; sign-up using your mobile number; choose “Pay with Cashalo”, complete your profile with the required personal, work, and bank details (for verification and disbursement); and click apply! The monthly interest rate is 8.75% for Cebu Pacific. Can I apply if I have an existing loan? You can only have one active loan at a time. Can I apply before I book my ticket? You can apply to Pay with Cashalo before booking your ticket online. What is the validity of the approved amount? The approved Pay with Cashalo loan amount is valid within 90 days. If not used after 90 days, you have to reapply. If your are rejected, please choose other payment options from the merchant. Can I use the approved loan in multiple transactions? The approved loan amount can only be used once for a single transaction. This means that if there is a remaining amount, that remaining amount is not valid for use to other transactions. What if my payable amount is more than my approved loan? If you are paying beyond your approved loan amount, please choose other payment options from the merchant. Pay with Cashalo is applicable for amounts within or less than your amount to be purchased. Is this also available to all promotions of the merchant? Yes, it is applicable to all promotions. Is it limited to any count of passenger? No, it is not limited to any count of passenger as long as it is within the loan limit. How do I process returns or refund? For return or refund, please contact merchant directly.